Ever wonder what happens in the lives of Dr. Richards' Littles after their story ends? Here's your chance to check in with 8 of your favorite Littles as they go on vacation together. You do not need to have read the previous books to enjoy this one but you may wish to go back and catch up with any stories you've missed. All are complete stories. 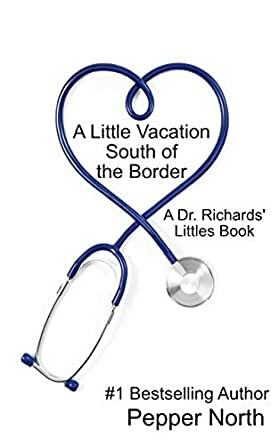 The books in this series will feature invasive medical treatments, including thorough examinations and enemas when required, as well as diaper changes, spankings and other punishments. If you are offended by age play (adults who choose to live as a Little or a parent of a Little) or dubious consent, this is not the book for you. I loved all the littles stories this one was my favorite one it one With lots of humor. I can not wait to see if there are more littles stories. Are you going to write Stephen and his Daddy Rob ? I read about the plumbers but have not seen there story out?? Please continue to write your amazing books. I love reading about the littles and all of the antics that they get into. Enjoyed reading about the Little vacation together and their closeness with each other. Definitely recommend this to everyone. Great story!